Apple on Tuesday released a trio of SMC updates, one each for the MacBook Pro, MacBook Pro Retina and MacBook Air, that patches a minor issue some users have experienced when draining the battery down to near zero. According to the release notes, mid-2012 MacBook Pro and Retina MacBook Pro models are affected by the update, while the MacBook Air update applied to mid-2012 and mid-2013 models. This update is recommended for MacBook Pro (mid 2012) models. This update addresses rare issues where the battery unexpectedly stops functioning or the system hangs when the battery charge reaches less than one percent. This update is recommended for 13-inch MacBook Pro with Retina display (late 2012) models, and 15-inch MacBook Pro with Retina display (mid 2012) models. 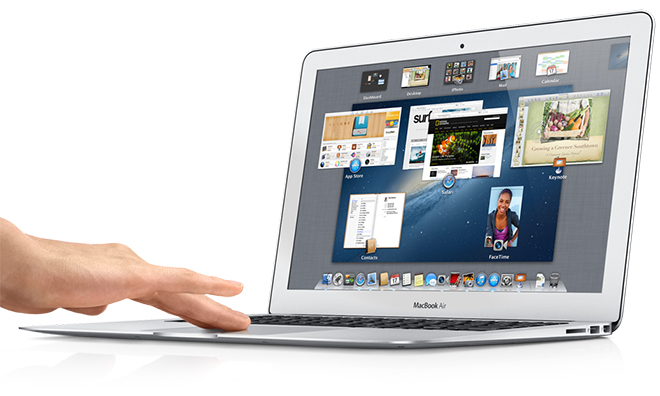 This update is recommended for MacBook Air (mid 2012 and mid 2013) models. It is not clear how widespread the battery bug was, though a quick search in Apple’s Support Communities webpage yields a number of hits for threads pointing to such issues. The latest SMC updates can be downloaded through Apple’s Support Downloads webpage, or via Software Update. Those looking to grab the new firmware on Apple’s website may have to wait until the respective pages are refreshed, as they currently show information and links to prior updates.